Looking for paintball arenas near you? If you live in the Minneapolis area, you may be interested in checking out Action Packed Paintball Games. This is one of the premier locations for paintball enthusiasts, so you will want to see what we have to offer. You might be impressed by their paintball arenas, which will provide people with some thrilling action. Think about stopping by if you are an individual player or want to make a reservation for a group. The experienced staff here can show you what types of playing styles are available at the course. 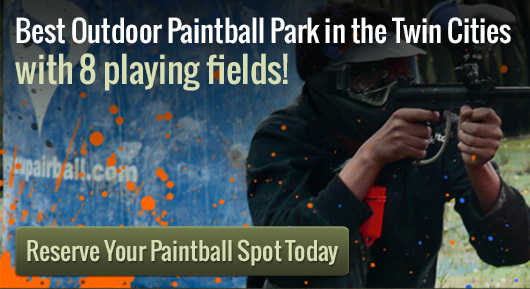 We can even answer any questions you may have about playing paintball on these grounds. When you plan to reserve a spot, you may want to think about browsing through the different paintball arenas we have available. This location has some modern courses, which will be full of obstacles that will challenge even longtime paintball fans. We also have wooded areas that will simulate jungle environments, which can be an exciting way to play as well. Talk to your friends to find out which of these different spots suits their playing style. Since this location has so many different arenas, you may want to think about booking for multiple weekends in the future. The staff at Action Packed Paintball Games can even show you some of the many reservation packages that are offered. This location is perfect for birthday parties and other celebrations. The many paintball arenas here can be modified to suit your specifications. We even offer season passes, which can give you some of the lowest rates that you can find anywhere around. This is the perfect option for a group of friends that wants to start up a paintball league or club. You can even try out walk-on play if you are an individual or have a group that wants to play with other players.